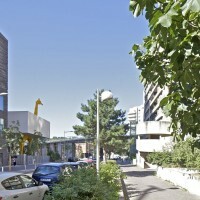 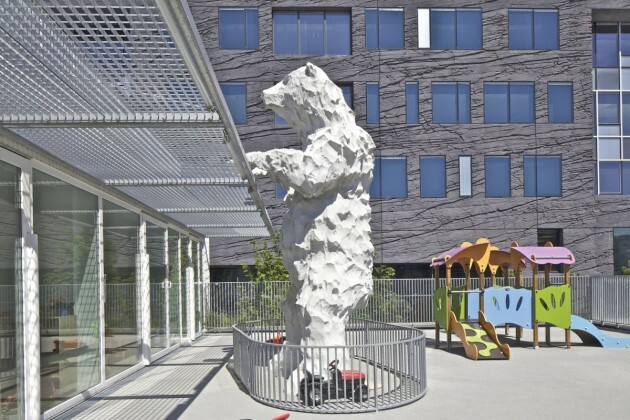 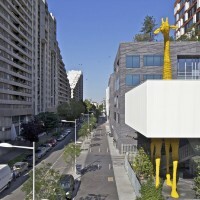 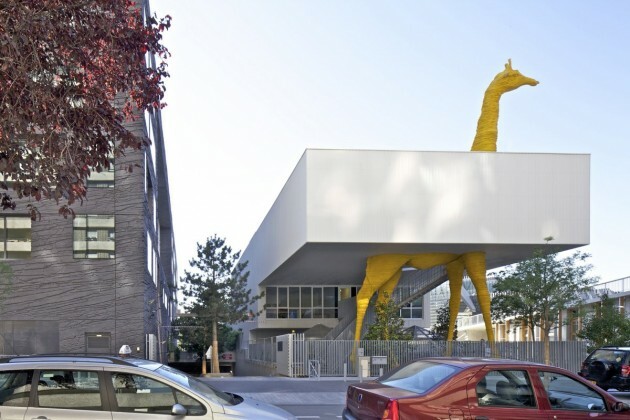 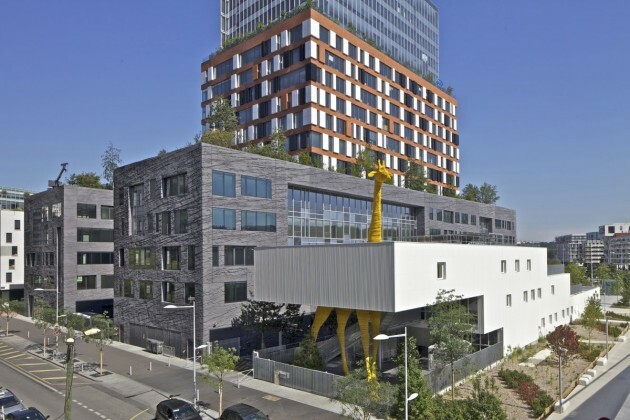 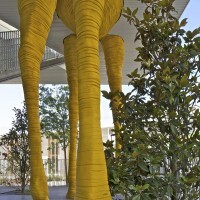 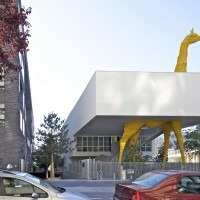 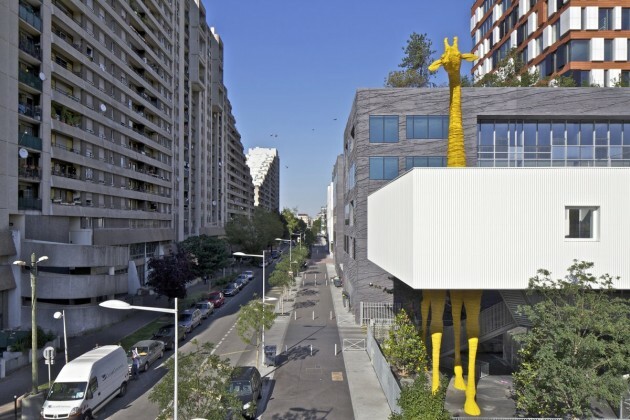 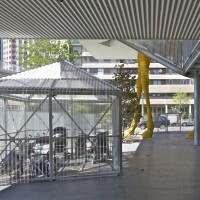 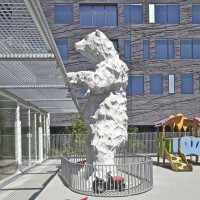 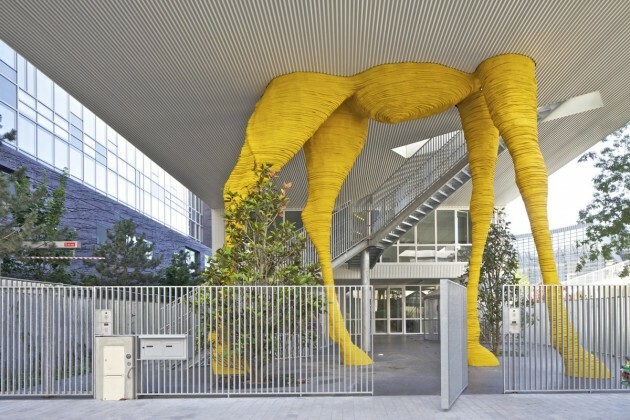 Hondelatte Laporte Architects have completed a childcare center in Boulogne-Billancourt, France, that features a giant giraffe as part of the building. 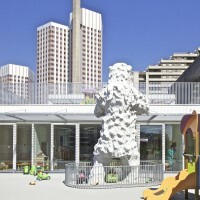 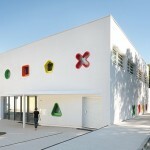 This public facility expresses the world of childhood. 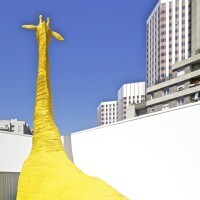 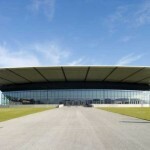 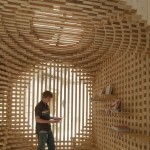 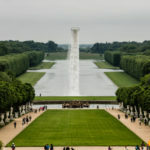 The idea is to create an event that leads the public space using childish imagination. 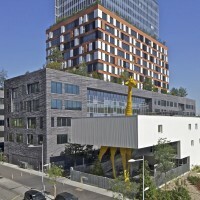 A giraffe is a leader and quietly grazes the tree layer within reach while a polar bear is trying to climb to the upper terrace from the south and a ladybug procession through the garden.